This chapter of the Factions story is meant to focus on adventure and discovery. We think we’ve come up with a good way to bring that experience home for Summoners, while also adding relevance to the Balance of Power beyond determining the ultimate winner. Each faction has a set of projects they’re working on. They can pick up new projects by recruiting new Champions or through interactive lore events. Every Friday, factions get a roll of the dice for each project, with bonuses based upon the Balance of Power, the “scoreboard” which updates based upon match results. If the die roll is successful, that project moves closer to completion. Completed projects can have a variety of effects. Some of these are “soft” impacts which are worked into the developing story in a primarily lore-based way. 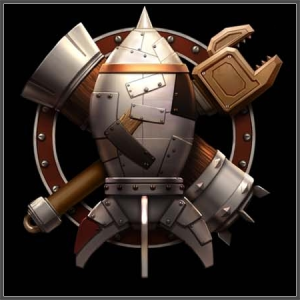 Some have “hard” impacts which make a specific numerical change to a faction’s strength or offer a specific advantage in certain matches. The dark sand is dangerous stuff. Each faction also has a “Danger Level”, which reflects the chance of a disaster: explosions, Void monsters, and so on. The higher the Danger Level, the greater the odds of catastrophe each week. Factions must roll above their Danger Level on a d20 to avoid disaster. Piltover’s current Danger Level is 2. Piltover has lifted its ban on bio-augmentation to pursue an ambitious project to amplify human (and yordle) capabilities with hextech. Impact: Piltover has pushed the boundaries of ethical experimentation to create serums, implants, and other treatments that greatly enhance recipients’ abilities. Nearly everyone can benefit to some degree from this project — and a select few individuals with heightened sensitivity can become truly superhuman. Some of Piltover’s military units gain a Strength bonus. This also opens the door to Zac potentially joining Piltover as a secondary Champion. Piltover has won the rights to the “red sand”, a peculiar variant of pyrikhos with extra explosive power. It simultaneously (and unsurprisingly) won the allegiance of Ziggs, the Hexplosives Expert, who has begun an ambitious project to develop large-scale explosives using the red sand. Impact: When attacking a faction’s fortified home territory, Piltover inflicts d20 additional casualties. The Velocitronic Rail is a high-speed, high-capacity pyri-levitation rail system that can ferry thousands of tons of goods from Piltover to Demacia and back in a matter of hours. For many years, there has been massive commercial potential between these two states; now, that potential is being realized. Plans are being made to similarly link Piltover and Bandle City. Janna’s mastery of wind magic, combined with pyrikhos engine development, has made possible a great fleet of hextech airships. These swift vessels are a valuable means of exploration and commerce. When necessary, they can also provide military air support with deadly volleys from their ultravelocity aircannons. Riven has joined Piltover’s cause out of hatred for Zaun and a determination to halt Zaun’s ascent to military dominance. She brings with her a “lost legion” of Noxian refugees, outcasts, and rebels who have fled their Void-contaminated homelands and the horrific battlefields of Shon-Xan. Most of them are Void-sickened or otherwise injured, and they are certainly not in fighting shape. However, if Piltover’s science can heal and re-equip them, they could be a powerful fighting force grateful to have a new home. Piltover and Ionia have long had a distant and cold relationship. 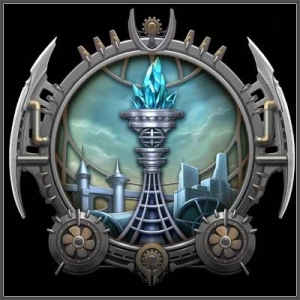 However, recent Piltovian and Bandle City research into the pyrikhos has intrigued Ionia, and recent atrocities committed by Zaunite forces against Ionia have made Piltover stand out as an important counterbalance. Piltover has discovered that the famously resilient shells of the Shurima Desert’s armordillos may have magical origins. With cooperation from Rammus, Piltovian researchers are attempting to create a synthetic version out of pyrikhosian ceramic. Bandle City’s current Danger Level is 3. The Mothership is an ancient spacecraft of unknown origin, immensely sacred to the yordles. It has inspired several technological breakthroughs, but until recently, the idea of actually launching it was out of the question, as only a few vials of its original fuel remained. 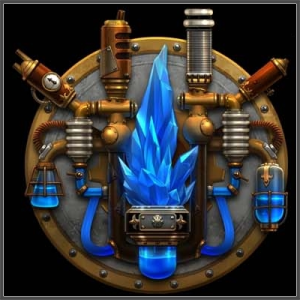 A pyrikhos-based fuel source could allow the yordles to take their Mothership back to the stars. Impact: Provides considerable bonuses to Bandle City’s spy rolls, via orbital surveillance. Unlocks new research projects, including a hamster tube city on the moon. Kennen has applied Ionian arcane theories to the balance of Order and Chaos in an effort to understand how these two forces relate to the greater cosmos. If he is successful in understanding this balance, it is believed that it could pave the way for the safe use of pyrikhos, and help avoid another “correction” such as the Void invasion Demacia provoked by aligning itself with Ceruleana. Impact: Bandle City can reroll failed Danger Level checks. Bandle City is building a fleet of submarines to help search for Fizz’s lost people, believed to be distant kin of the yordles. Bandle City has built a research base and shipyard on the moon, capable of housing hundreds of yordles at a time. (Hamster tube city on the moon!) With a more than adequate supply of freeze-dried cupcakes to snack on, research teams are hard at work experimenting and planning Bandle City’s next explorations. Impact: Significantly improves research. (+1 global research bonus.) Unlocks Star Scouts project. Ziggs is helping Bandle City develop hexplosive technology. Braum is intrigued by the potential for pyrikhos-driven refrigeration units to create comfortable environments in which to raise cute fluffy poros. Such pets would be in great demand! Fuzzy little spacetroopers ready to deploy anywhere on Runeterra at a moment’s notice. Zaun’s current Danger Level is 4. Zaunite projects strike a breakthrough on a 7 or better, instead of the usual 8 or better, due to what others call reckless disregard for consequences and they call a due regard for the importance of success. This same attitude gives it twice the base Danger Level of a typical faction. Merricurry, frustrated by the bureaucratic obstacles placed in her path as an independent researcher, signed a contract with a Zaunite research consortium after Zaun won by tournament the right to authorize research into the unexplored pyrikhos deposits in Field 14. The pioneer of pyrikhos theory, she is widely considered among the most brilliant hextechnologists in Valoran. She gives Zaun a +1 research bonus to all projects and reduces its Danger Level by 2. She also has a 25% chance each week of making a “wildcard” breakthrough, which might enhance a completed project, bump an incomplete project ahead, grant a new technology, or otherwise drive the Hextech Revolution forward. Zaun has created a hextech army the likes of which Runeterra has never seen: cyborg soldiers, techmaturgic biodisruptor beams, walking humanoid robots the size of buildings, and hextech tanks rigged with death rays. As Noxus has fallen into disarray, Zaun has ascended to a level of military power to rival even Demacia. The HexKorps is operational and ready for deployment by land, sea, or air. Impact: Zaun now has a powerful military. The HexKorps will open up new options in interactive lore events that involve military conflict, and give it a much better chance of success in those events. “Pharmakon” is a consumer product, an arcano-elixir made with Void ooze collected from contaminated Noxian land which when imbibed gives a potent high and temporary psionic powers. It is only one of several such “NoxiToxis” that have proliferated in Zaun ever since its megacorporations began their “research” on Void-tainted Noxian land. Attempts to strengthen Pharmakon had always failed: concentrating it above a certain level simply made it lethal. Singed has discovered the secret: infusing hyper-concentrated Pharmakon with pyrikhos, then charging the mixture through a latticework of hextech energy beams wrapped in tubes circulating a steady stream of pyrikhos as mages chant the half-remembered scraps of Shuriman spells. The result is Pharmakon II, which if administered to certain “gifted” individuals can create Void-touched psi-mages with the power to warp reality itself to their will. For the first time in history, Zaun has its own school of magic. Impact: Zaun’s psi-mages can use their powers to curse an enemy Champion with a hex that closely resembles the sort of “summoning sickness” that Champions sometimes experience due to over-exposure to the magics of the Fields of Justice. Zaun may roll a d6 prior to Featured Matches and Tournament Matches; on a roll of 6, Zaun gains one “real” ban against the enemy faction. Errat: Void combat bonus changed to a +20% Strength boost. Even before the discovery of the pyrikhos, Zaun had been secretly studying Void energy under a pretense of working to clean up contaminated Noxian land and treating Void-touched Noxian soldiers and civilians. Urged on by its Summoners, the Council of Zaun authorized a re-opening of these secret research files. Pyrikhos, which represents a collision of Void energy with more “conventional” magic, served as a gateway to direct control of the Void’s power. Impact: Zaun has a grasp, however rudimentary, upon the dynamics of the Void. Zaunite mages can open and close Void rifts, tap into the Void to intensify their spells, and defend against extradimensional attacks which effortlessly penetrate conventional Runeterran spell-walls. Zaun gains 20% bonus Strength when fighting the Void. The Noxian Decontamination project is now available for selection. Finally, Vel’koz is now a potential Champion pickup. Mutants are hated and feared in Zaun. When the pyrikhos conflict arose, Zac came to the Council of Zaun with an offer: he would fight for them, in exchange for the authority and resources necessary to create a Mutant Academy, a safe haven for Zaun’s mutants and misfits where they could develop their powers and learn to use them for good, and a research center through which treatments for the dangerous side-effects of mutations could be developed. Zaun agreed. Impact: The Mutant Academy provides a potential bridge between Zaun and Piltover. Specifically, Janna is now a potential secondary Champion pickup, although she would doubtless demand certain concessions and some policy changes from the increasingly warlike city-state. Twisted Fate has discovered a strange interaction between his powers and the pyrikhos: while normally he can only teleport himself, with concentration he can reach through a charged pyrikhos field and use it to teleport another object instead. With his help, Zaunite researchers have developed a hextech portal-to-portal instantaneous teleportation system. Impact: This technology allows Zaun to project its military power across Valoran by building a secret network of warpgates, and to react quickly to multiple threats. Zaun has just figured out the fundamental theory of extradimensional reality. That, uh, might not be a good thing. Impact: This grants Zaun much more nuanced control over the Void. Zaun no longer requires Void ooze from Noxus to manufacture Pharmakon II. This eliminates the potential tradeoff between Noxian Decontamination and Pharmakon II. Zaun gains some protection against divine or celestial beings. This protects them from Ceruleana, and also provides a counter to Ionian astral magic. This makes the odds of Zaun tripping and blowing up the world somewhat less. Or at least, that’s what the researchers say. Cosmic chaos is hard to predict. Zaun is developing a variant formula of Pharmakon II which accentuates its subtler psionic aspects, and training specialized intelligence operatives in the use of such powers. With Xerath’s guidance, Zaun is searching for the Solar Codex, the foundation of all Shuriman magic. The Infinity Engine is a propulsion system design based on Void technology, meant to allow the construction of spacecraft. Much Noxian land was rendered uninhabitable (to use a mild term) during the Void War. Zaun is developing a means to decontaminate this land and allow the refugees to return home. Zaun is constructing a massive fleet of zeppelins for commerce and defense. Demacia’s current Danger Level is 1. Demacia sought the power to exorcise the demons of the Void. As they delved deeper into the nature of the Void, Demacia’s mages and clerics discovered an eerie connection between the Void and the necromantic energies that animate the undead. They have found holy magic to drive back the demon and purify lands contaminated by these dark powers. Impact: In battles with the Void or the undead, Demacia rolls twice and keeps the higher roll. This also adds a degree of resistance to Zaun’s psi-magic, forcing Zaun to seek an 8 on a d8 (instead of a 6 on a d6) when using Pharmakon II’s Champion-ban bonus against Demacia. Finally, this opens the door to recruiting Kayle or Lucian, either of whom will unlock the Dawnbringers project. Research into ancient Shuriman magic could provide clues as to the fundamental origins of the pyrikhos. 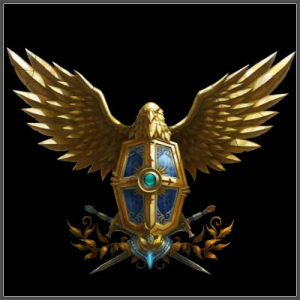 After much debate, Demacia brought ancient Shuriman codices and artifacts to Demacia’s magical academies and temples for examination and study. Their mages have carefully reconstructed the essential elements of Shuriman magic. Impact: The other three factions began the arc with a Shuriman Champion. Demacia has fought its way from last place to the top of the rankings, and completed the Secrets of Shurima project, thereby at last winning the support of Nasus. Some say that Renekton’s presence on Zaun’s roster was what finally persuaded him to join the fray: he made his oath the morning before an important set of matches against Zaun. Sensing that a battle against the Void is imminent, Demacia has gathered an army of knights imbued with celestial power to drive the demons back into oblivion. Trained by Kayle and the Solari of Mount Targon, these holy warriors wield the sun’s blazing fury against the forces of darkness. Impact: Powerful anti-Void military unit added to Demacia’s list. There are two main aspects to this system: projects and Danger Level. Each faction can pursue one or more projects involving the pyrikhos. Which projects each faction pursues, and their successes and failures in doing so, will have significant impacts upon the story. Alpha Phase: The project is still in initial planning stages. Projects generally start here. Beta Phase: They have a prototype or other limited success. Gamma Phase: They have partially completed the project. It will start having an impact on the world. Completion: Once in Gamma Phase, the next breakthrough completes the project. Some completed projects may have direct or indirect gameplay effects, as well as story effects. Example: Let’s say a faction is at 37 points on the balance of power. This gives them a +3 to their roll. They roll a d10 for each of their two projects, rolling a 3 for the first and a 7 for the second. Adding in the +3, they score 6 for the first project and 10 for the second. They make a breakthrough on the second project. Different methods of investigating the strange new power of the pyrikhos bring with them different levels of danger, represented by a number. A Danger Level of 1 represents relative safety, while a faction with a Danger Level of 10 can clearly be said to be operating within a zone which is characterized by danger. Every Friday, each faction rolls a d20. If the roll is equal to or less than their Danger Level, something bad happens. One of their projects might be sent back to the drawing board, or a disaster might strike a major city, or … well, it could be really bad. We have a random event table drawn up and everything. But you can’t see it. Just know it’s dangerous. Example: let’s say a faction has a Danger Level of 3. Every week, we roll a d20 for that faction. If the roll is 1, 2, or 3, a disaster strikes. MIA — The faction loses one or more Champions for the next set of Featured Matches. Setback — The faction loses their research breakthroughs this week. 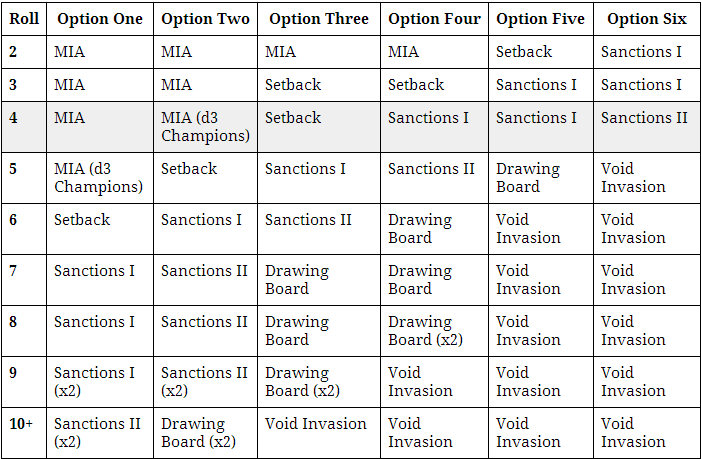 Sanctions I — For their next set of Featured Matches, the sanctioned faction’s opponents can select any Champion not on the sanctioned faction’s roster. In other words, they face a “normal” team. The sanctioned faction does not get bans. FotM beatdown inc? Sanctions II — The faction does not gain any points or prizes from the next set of Featured Matches. If they are defeated, they also suffer a 10 point flat penalty. Drawing Board — A random incomplete project is knocked back one stage of development. Also, any breakthroughs on that project this week are ignored. Void Invasion — The horrors of the Void invade the faction’s homeland, triggering a lore event in which they must struggle to drive them back. Consequences could be long-lasting and dire. Sound complicated? Don’t worry. This is being published only for the sake of transparency; there’s no need for most Summoners to know the inner workings of the system. The Balance of Power isn’t the only factor involved here. Certain Champions and NPCs will also play a role. For example, bringing on a Champion might unlock a new project, or provide a bonus to an existing project.